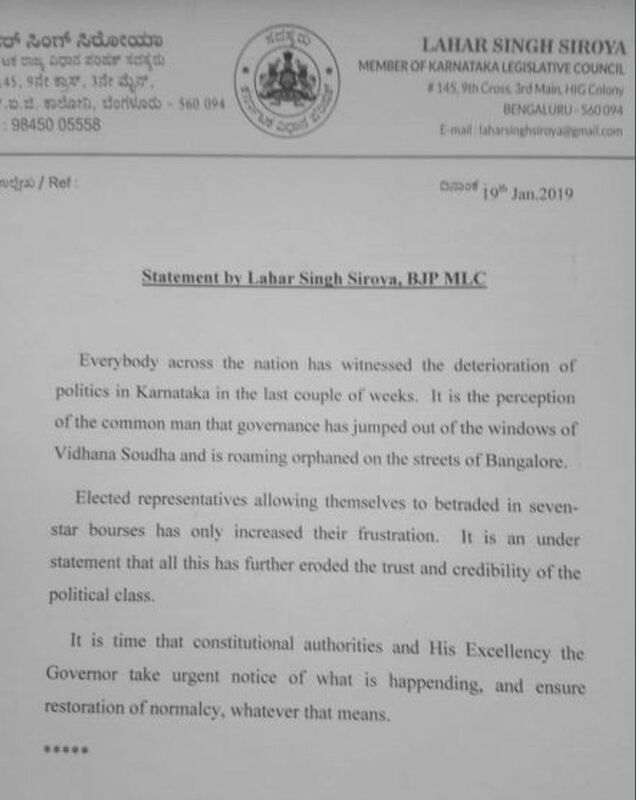 Raising questions on 'resort politics', BJP MLC Lehar Singh has issued a statement requesting the Governor to take action to ensure the MLAs of Karnataka get back to 'doing their duty, which is governance'. Bengaluru: The Karnataka Congress MLAs have travelled 35 km from Bengaluru to Bidadi to camp at Eagleton resort. Former chief minister Siddaramaiah, during the press conference on January 18, had mentioned that it could be an indefinite stay. All this drama to address the issue of dissidence plaguing the party. The BJP leaders of the state too had been staying at a hotel in Gurugram. The two main parties have triggered a political crisis in Karnataka. While the opposition leaders have decided to head back home claiming that they'd tour the drought-hit districts of the state as a run-up to Lok Sabha election, the ruling party members at the resort have announced that their legislature party meeting as well as the discussion for Lok Sabha strategy would take place there, conveniently forgetting the Vidhana Soudha (the secretariat). Ironically, the entrance to Vidhana Soudha has an inscription that says, "Government work is God's work." 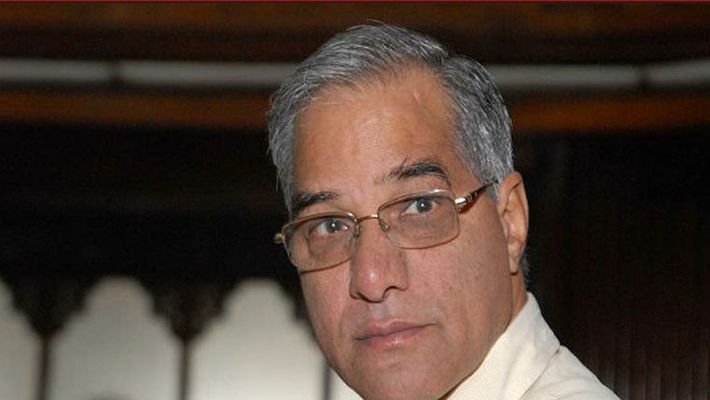 Raising questions on how 'resort politics' is taking people for a ride is BJP MLC Lehar Singh. He has issued a statement requesting the Governor to take action to ensure leaders get back to "doing their duty, which is governance". Singh said, "Somebody must speak up for the people. Opposition must do its job. The chief minister must do his job. The Assembly is always there. They can always move a no confidence motion instead of holding the state to ransom to cater to their political greed." Dissident MLAs would be served notices, seeking explanations for their absence in two days, the senior leaders of the Congress said after the meeting at the resort on January 19. "These MLA are selling themselves just for power. Nobody gains. Even if the opposition takes them and forms the government, it won't last long. And the ruling party too shouldn't have such MLAs, who are opportunists," said Singh. Why make an unhealthy compromise with such dissident leaders, who are driving a hard bargain for power, the MLC questioned. "Let's look beyond political interests. It's people's money. They haven't voted you to power to sit in a resort. This is an unhealthy practice," he said. Lehar Singh said that the Governor must issue a warning and get the MLAs back to doing what is required. "The Governor must rise above party and politics and ensure the people are served by the MLAS, the chief minister and the opposition leader. Can he not call them?" Lehar Singh said. Lehar Singh requested the chief minister to govern without worrying about losing power.